Nyapanyapa Yunupingu, ‘untitled’, 2018. 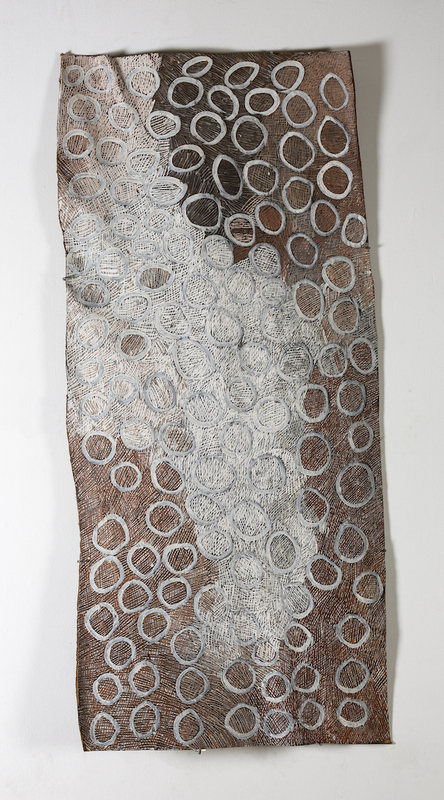 Natural earth pigments on bark, 168 x 77cm. Courtesy: the artist and Roslyn Oxley9, Sydney. Roslyn Oxley9 Gallery presents a new exhibition by Nyapanyapa Yunupingu.